Dr. Pavel Kravchenko is the founder of Distributed Lab, blogger, cryptographer and PhD in Information Security. Pavel is working in blockchain industry since early 2014 (Stellar). 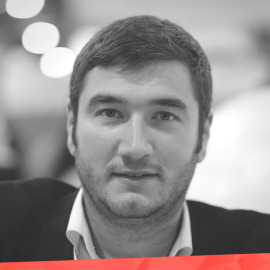 Pavel's expertise is mostly focused on: cryptography, security & technological risks, tokenization. He considers the company's mission in a creation of an open ecosystem that uses uniform payment and asset management protocol - so called ”financial web'’.